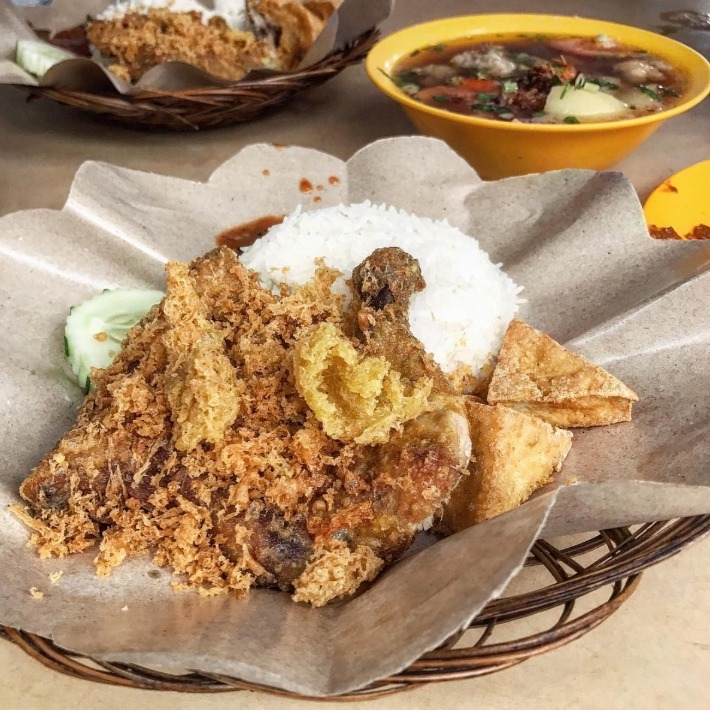 Javanese for ‘smashed chicken’, Ayam Penyet is essentially an Indonesian chicken and rice dish consisting of deep-fried chicken topped with smashed batter bits and typically accompanied by tempeh, fried tofu, cucumbers and sambal. Clearly, this isn’t one dish that is meant for the health conscious—the huge portion of chicken thigh often comes packed with heaps of calories, but that is exactly what makes ayam penyet so sinfully delightful to have. 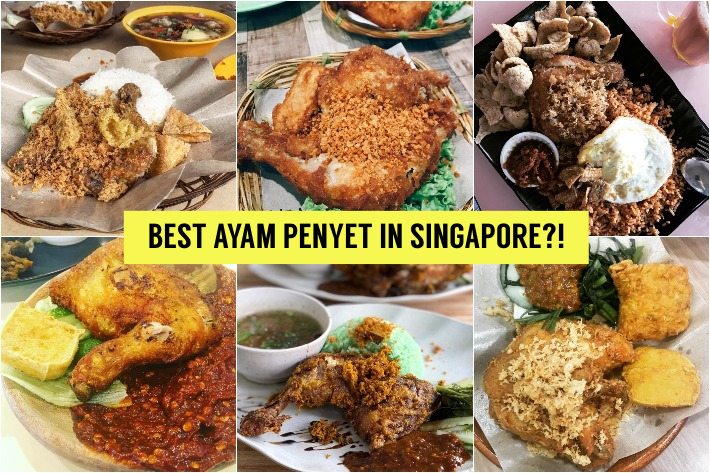 For fans of the indulgent dish, here are 8 places in Singapore with Ayam penyet worth making every day a cheat day. Located in several malls in Singapore, most of us would be familiar with Ayam Penyet President. 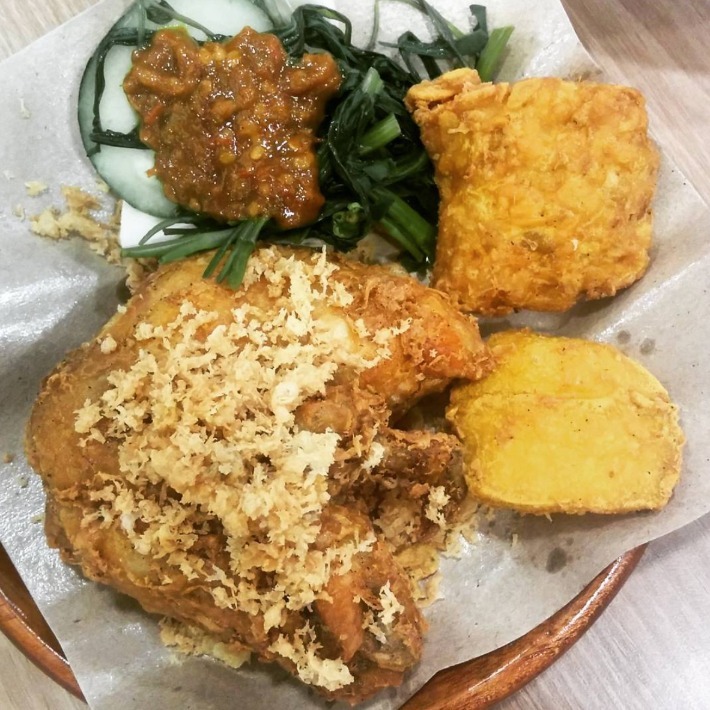 Dishing out authentic Indonesian cuisine that’s priced economically for the masses, they are best known for the Ayam Penyet (S$6.90) which comes served with tempeh and tofu. This casual dining chain has 8 outlets islandwide, so getting your hands on a plate of their delightful ayam penyet wouldn’t be too difficult! 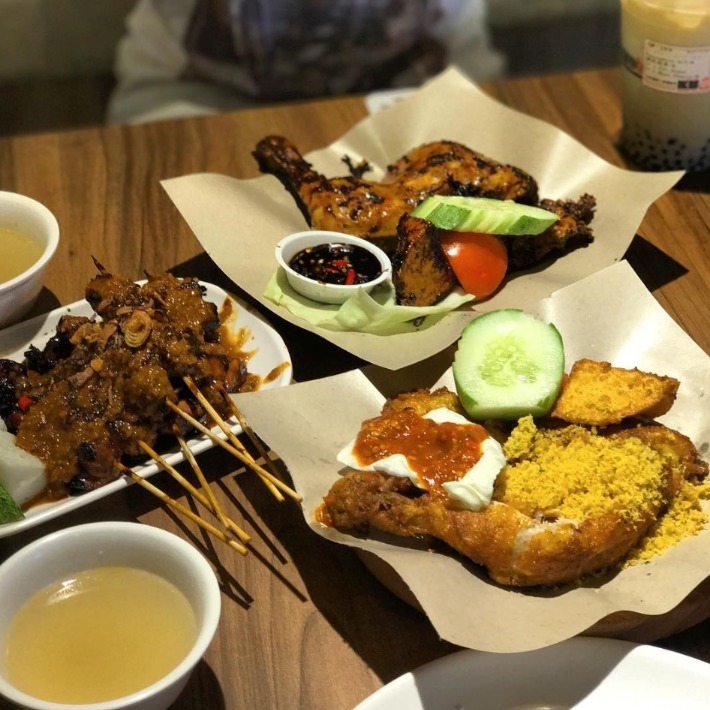 Established in 2004 as a humble family-owned eatery, Ayam Penyet Ria has gone far and now serves an extensive menu of Indonesian delights at 5 outlets in Singapore. 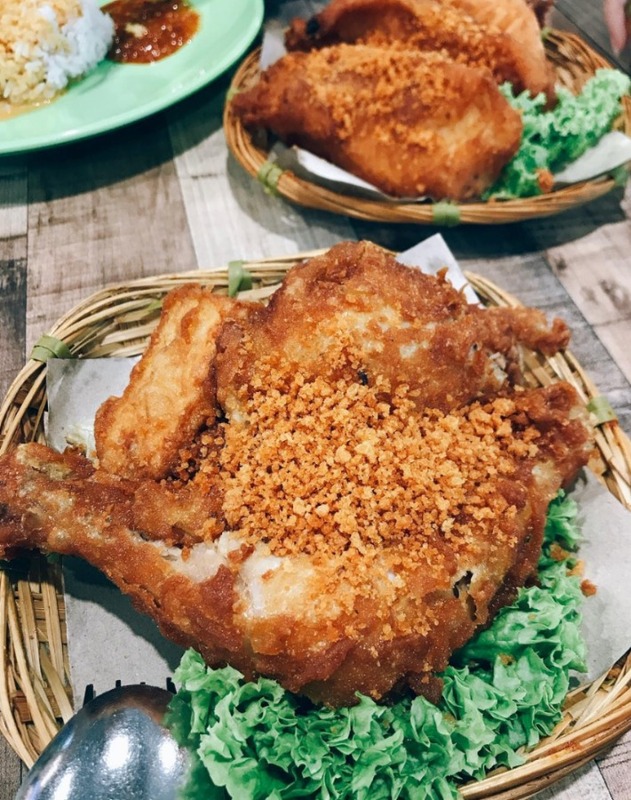 A must-order is no doubt their Ayam Penyet (S$8.20)—although a tad pricey compared to the ones you’d typically find, what you get is a generous chunk of tender chicken deep-fried to golden perfection and topped off with crunchy batter bits. An unassuming, hole-in-the-wall hawker stall, Impian Wahyu is easy to miss but definitely one that you should look out for. Helmed an Indonesian couple, the stall serves unpretentious, real-deal Indonesian cuisine. Freshly fried upon order, the Ayam Penyet (S$5) is packed with loads of batter bits. Spice lovers would also be glad to hear that their sambal terasi packs a mean punch! 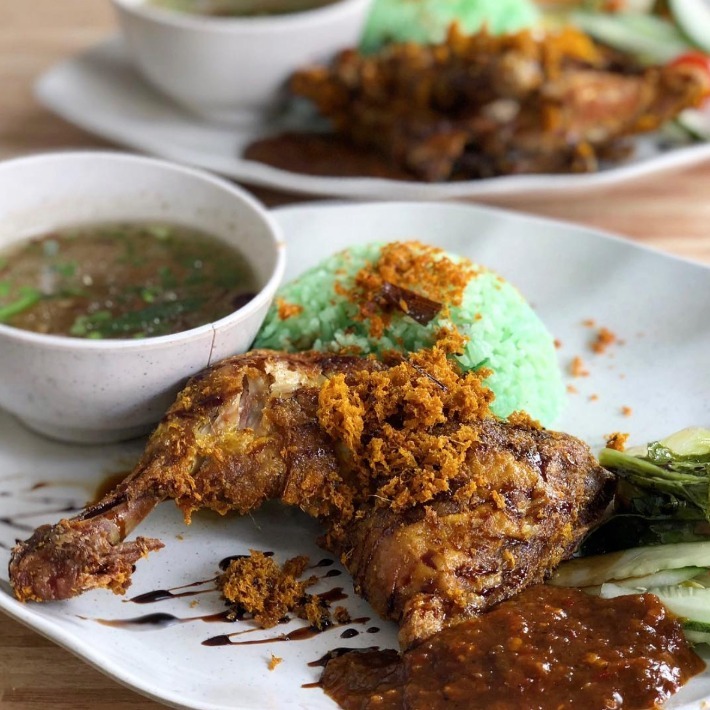 Tucked away in a coffee shop in Ubi, Pondok Pantai Timur is a stall you should definitely make a point to check out if you’re a die-hard fan of Ayam Penyet. 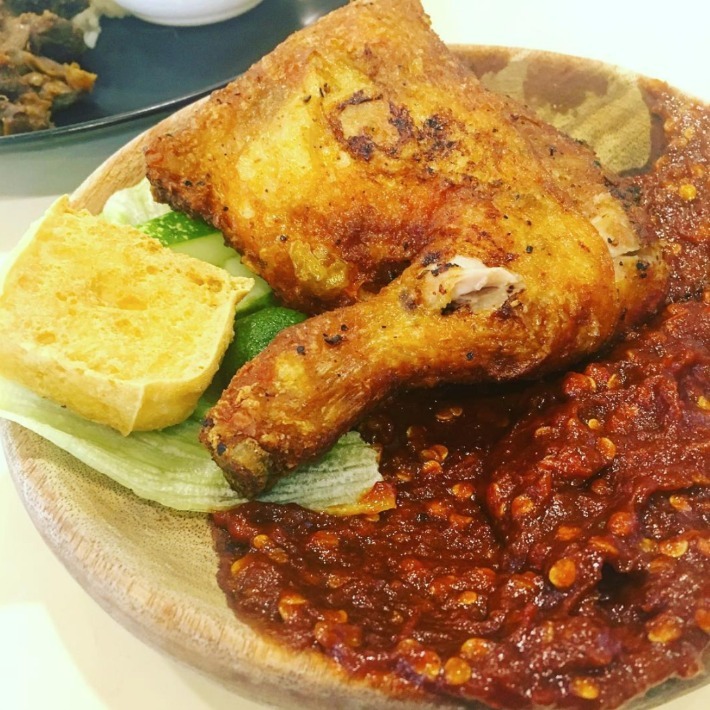 Their rendition (S$5.50) encompasses all the basic ingredients of a usual ayam penyet and their chicken thigh strikes all the right chords in terms of what you’d expect of a well-executed one—crisp on the outside and fall-off-the-bone tender on the inside. Mix it up with their potent sambal and you wouldn’t regret! Incorporating Balinese flavours into their cuisine, Rayyan’s Waröeng Penyet’s dishes take on a bolder front both in terms of flavours and aesthetics. The ¼ Cut Fried Chicken Penyet (S$5.50) is unmistakenly the crowd-favourite and it is easy to understand why. The dish sees a huge chunk of well-marinated chicken thigh coated in a deep-fried bread crumb exterior, giving the tender meat a nice crunch on top of succulence and intense meaty flavours. Chong Pang Market & Food Centre is home to plenty of stalls that sell amazing local delights. If you’ve been frequenting this food centre but have never tried out Super Penyet, be sure to do so on your next visit for it might just be your next go-to here. 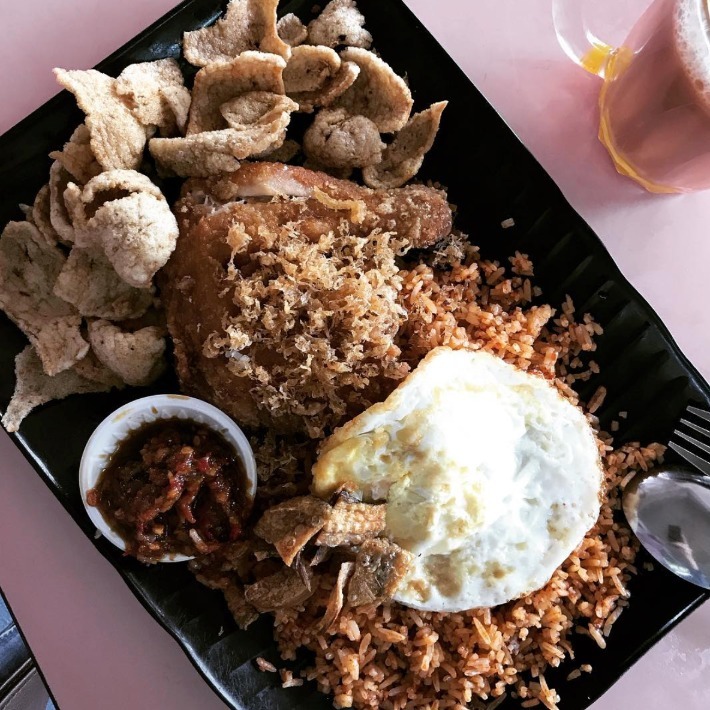 Their Nasi Ayam Penyet (S$5.50) comes with a crispy fried chicken, fragrant and aromatic nasi lemak rice and a fiery, homemade sambal chilli sauce that brings the whole dish together. Sedap! 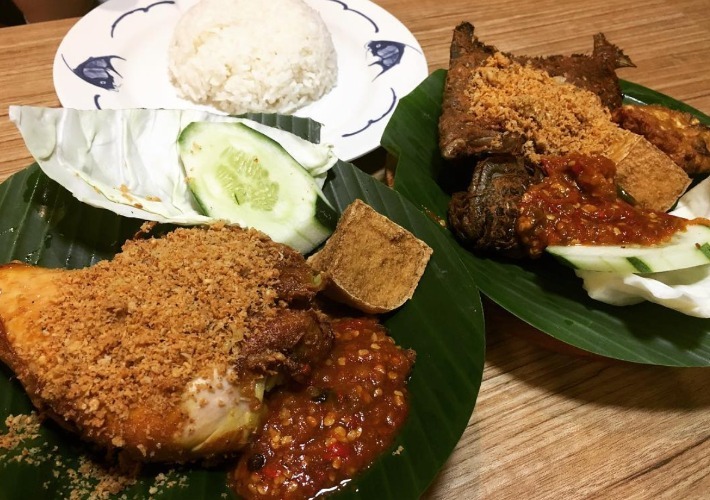 Highly acclaimed to serve the best Ayam Penyet in Singapore, Uncle Penyet’s rendition of Ayam Penyet (S$4.80) is simple yet nails every element of the dish. Prices are kept low as the stall is located in a canteen within NUS. If entering the school just to get a taste of this amazing ayam penyet is too inconvenient (and awkward) for you, fret not for their Indonesian delights are available on many food delivery apps! Situated in the same building where outlets of Ayam Penyet President and Ayam Penyet Ria are, Warung Surabaya posits as another great option to try if you’re hankering after authentic Indonesian cuisine that won’t break the bank. Besides their signature Ayam Penyet Surabaya, look forward to a myriad of classic Indonesian side dishes and other hearty mains!